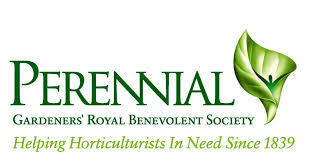 Lovania National 3 Peak Challenge 2018 | Love gardening? Love Hiking! The Lovania team love a challenge. 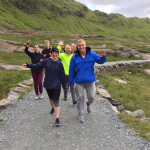 But this time, they stretched themselves to the very limits as a group of staff take to the hills, quite literally, on 15-16 June 2018 as part of the National 3 Peak Challenge. What did it entail? 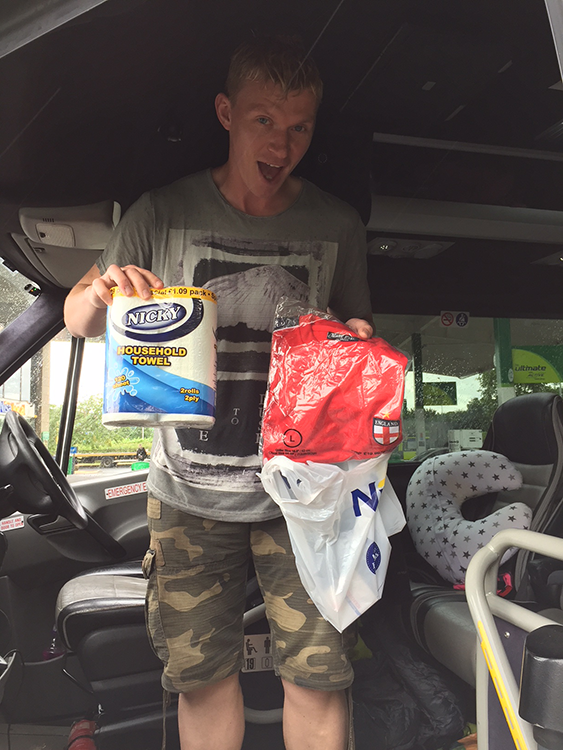 Well, just conquering the three highest peaks in Scotland, England Wales…in 24 hours! Of course, as you’d expect, the Lovania team left nothing to chance, choosing the longest day to extend their daylight hours and with a full regime of training behind them. The total walking distance will be 23 miles with a mere 462 miles to drive between peaks. 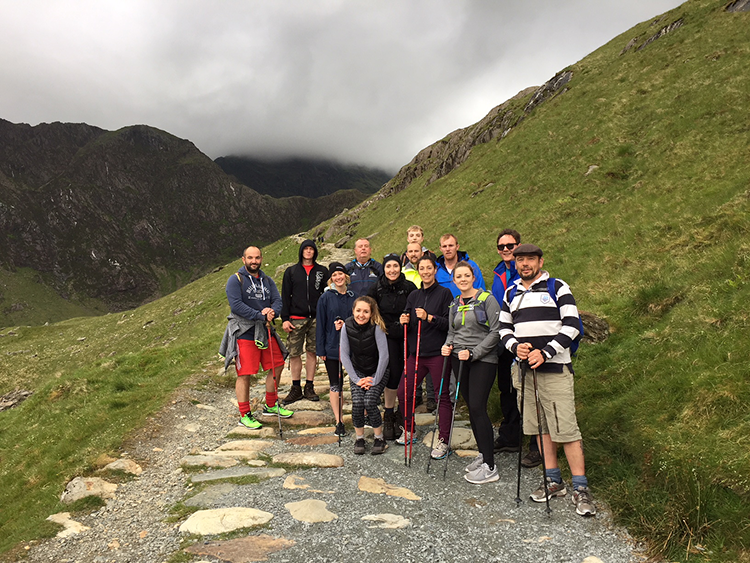 Fourteen intrepid Lovania team members set off by minibus at 7am with their sights on Snowdon – the final peak of the 3 – by 5.30pm on Saturday. 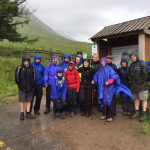 We started at 5.15pm on Friday 15th June, setting off from Fort William in Scotland; fully “fuelled” at the local ‘Ben Nevis’ pub. 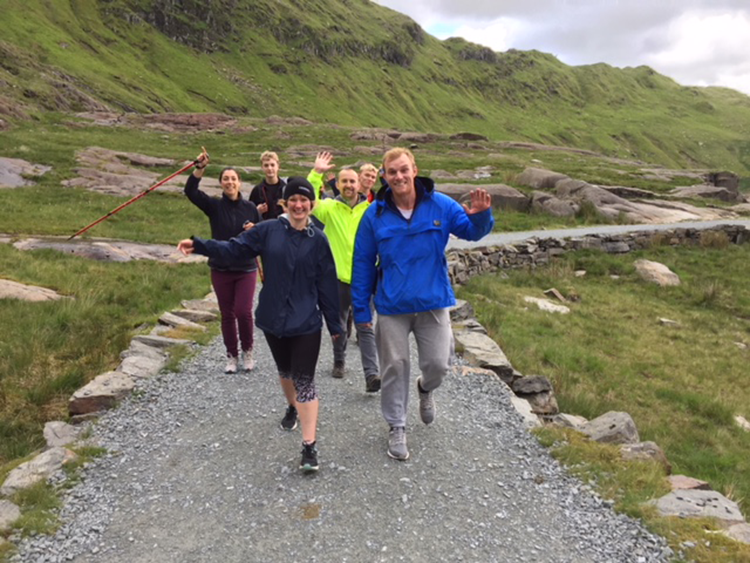 Spirits were high, with particular giggles aimed at Gary Worden from the Sales team who had chosen jeans and a polo shirt as his hiking gear – still, this didn’t deter him, nor did it stop him from making friends with locals and trying to sell them some alpines along the way! 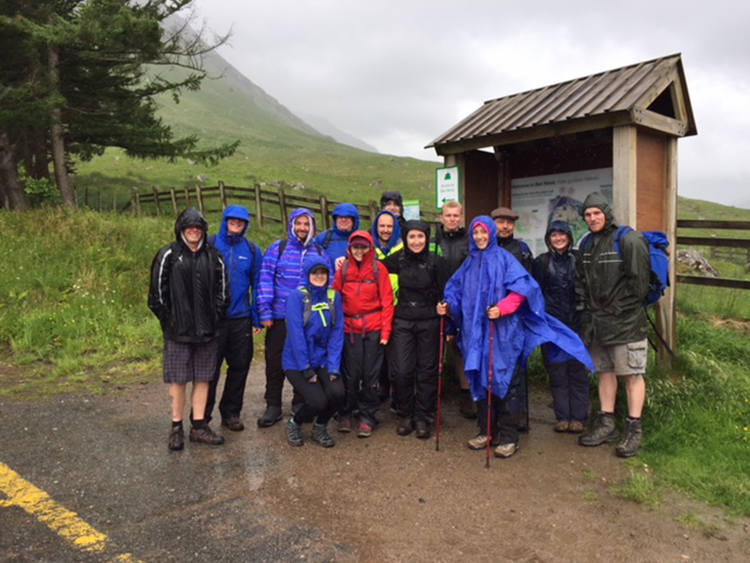 We set off at a strong pace up Ben Nevis with initial weather conditions pleasant for walking as we started the incline. This soon changed! As we edged closer to the top we even had snow! 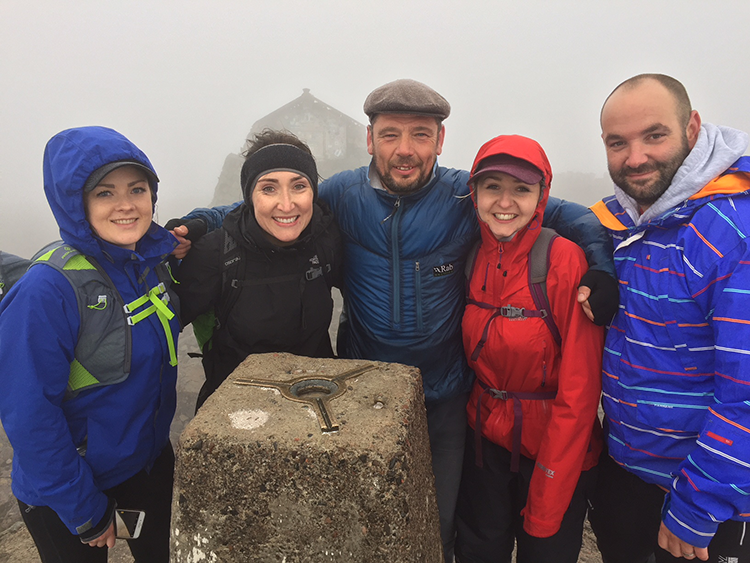 Conditions aside, we conquered Nevis in 5 hours, returning to the mini bus at 11.15pm before heading off to our next challenge: Scafell. 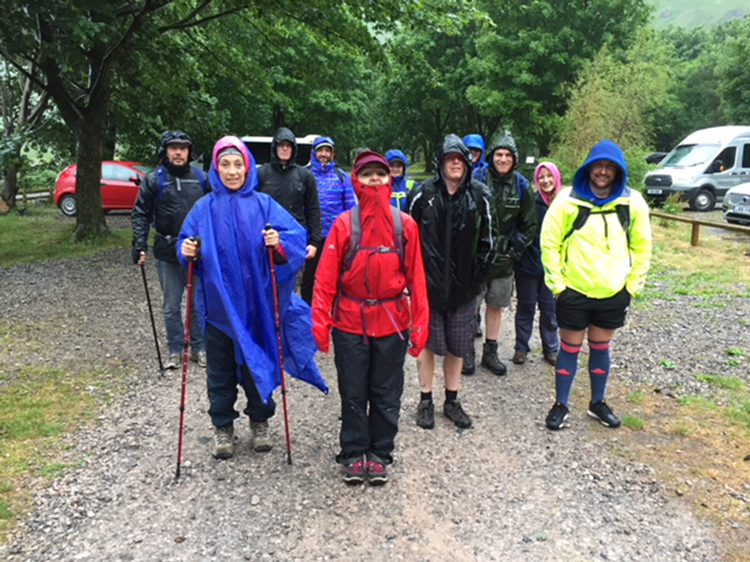 At Scafell, the weather was nothing short of awful, pouring from the second we arrived after our rain-free minibus journey. 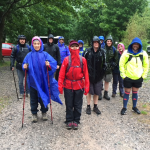 Soon the team were soaked to the bone, with actual puddles in our boots. 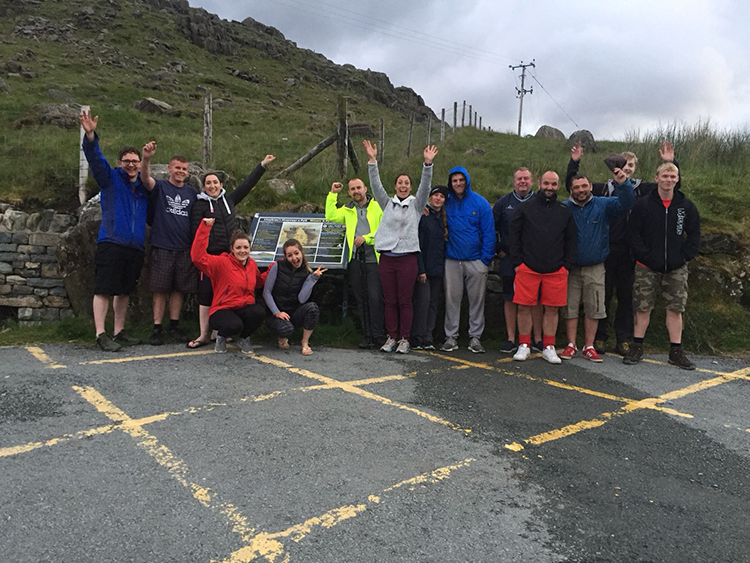 There are two routes up Scafell; of COURSE we chose the most challenging, including elements of scrambling on our hands and knees – extremely intense but the survival mode kicked in team-wide and we made it in 3.5 hours. Visibility was poor so we found the summit and made our descent at pace. Really relieved to see the butty van as we reached the bottom! 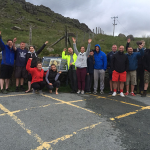 After a stop for our driver, we arrived at Snowdon at 5pm and set off on what we thought would be a “gentle climb”. Not so! 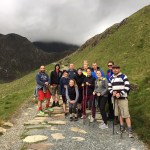 The long flat path was deceiving as we turned a corner and saw the steep incline to the top – time for another hands and knees scramble! Reaching the top, the weather was bleak, cold and very windy. We couldn’t feel our hands even with gloves on. S adly the café at the top was shut but just as well as it was that cold, we didn’t want to hang about. We raced back down the mountain to complete the walk in 4 hours. We were absolutely delighted to be within our time goal, all arriving back at base safe and unscathed. 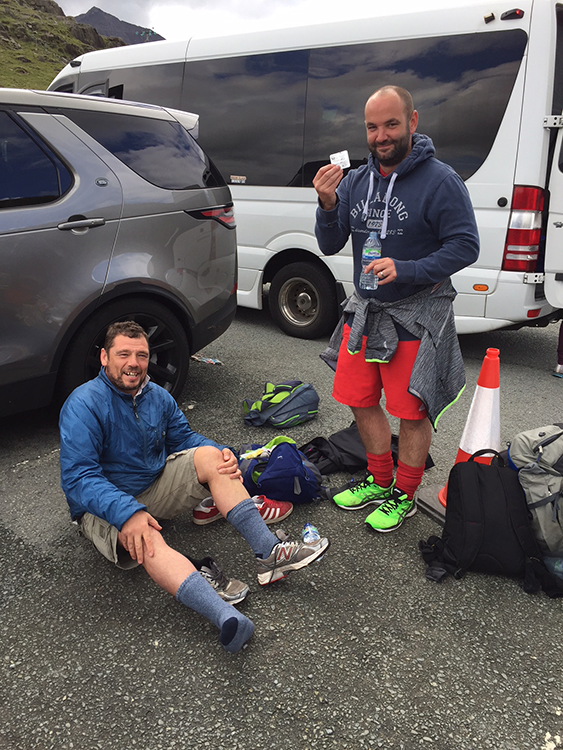 The team were unbelievably tough throughout. Everyone maintained a positive can-do attitude and together we got through it. And guess what? Ste Smith and the team are already planning the next challenge for 2018! 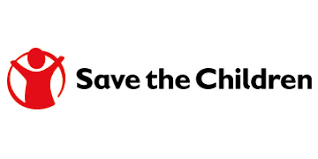 They thank your for your support and messages and if you would still like to contribute to the cause, they have a fundraising page (below) and all proceeds raised will be split between Save the Children and Perennial. 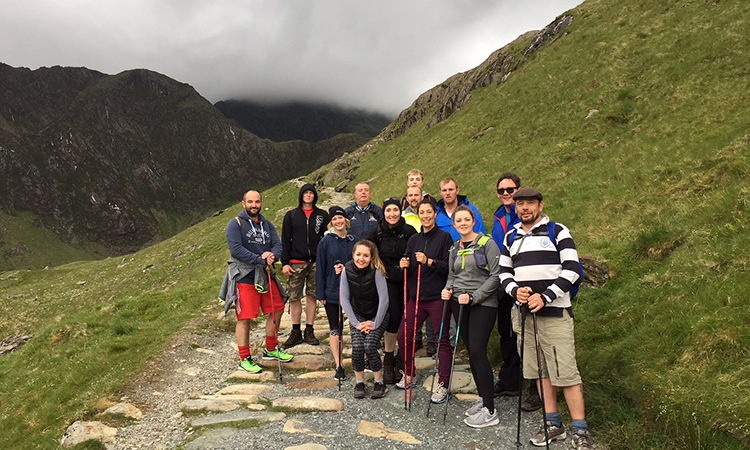 Participating: Steve Smith; Ste Massam and Sarah; Jonny Massam; Katherine Whittam, Ash and Dave; Paul Taylor; Gary Worden; Matthew Jones; Kate Riley; Lee Holmes; Frankie Ball and Charmay Prout.